Student Health Services advocates, educates, and provides resources to deliver general health services to students and to provide appropriate health care in emergency situations. 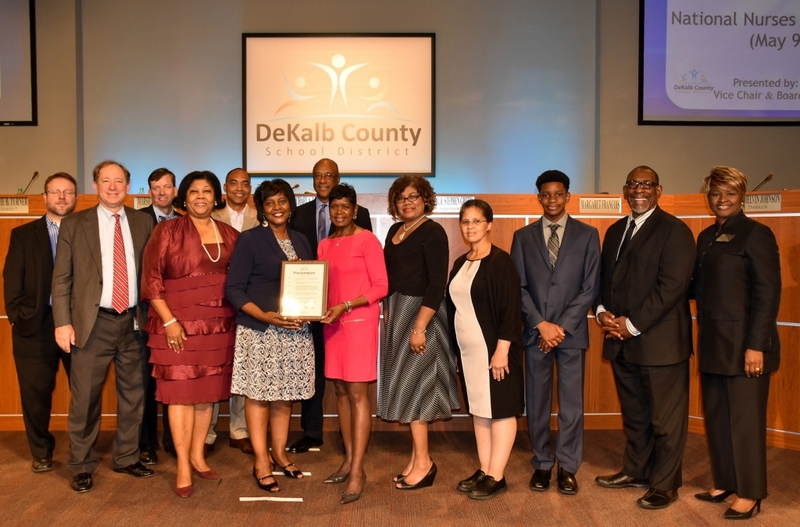 The vision is to identify and remove health barriers to insure every child enrolled in the DeKalb County School District will have the opportunity to experience an optimal learning experience. The services include administering medication, conducting screenings, administering first aid, reviewing immunization records, and providing a multitude of other health related services, including, but not limited to, vision, hearing, and scoliosis screenings. The Student Health Services programs has four consulting/coordinating registered nurses (RNs) who provide supervision of healthcare services to all students; consultations with school staff members, administrators, students and parents; training and staff development; and collaborative student health screenings with the state or county agencies. Each consulting nurse serves an assigned cluster of elementary, middle and high schools. SHS delivers school health services through a team approach and serves as a resource for all school health related issues.